Behind the Blog is a regular feature where you and I can get to know the person behind the blog a little better! This months blogger is Connie from Connie Reads! I am really excited to welcome Connie to the blog as she is one of the loveliest people and is just a joy to be around. She also takes some of the loveliest pictures! Hi! Introduce yourself – what’s your name? Where are you from? Hello everyone! I’m Connie and I’m a bookwyrm from the wilds of the Fens… or just outside Cambridge, but that doesn’t sound as fun. Give us one fun fact about you! My usual answer is a little bit strange, but I have an obsession with green sweets. Jelly tots, Fruit Pastilles, Starburst, you name it! I honestly don’t remember a time when I wasn’t a reader. My mum and dad were both book lovers and would always read me stories before bed, and as soon as I was old enough to read the books myself I did it. I think I was reading books myself by the time I was about 5 or 6 years old. What made you decide to start a blog and stick with it? I’ve toyed around with blogging before, but I never really found a subject interesting enough to stick with it. 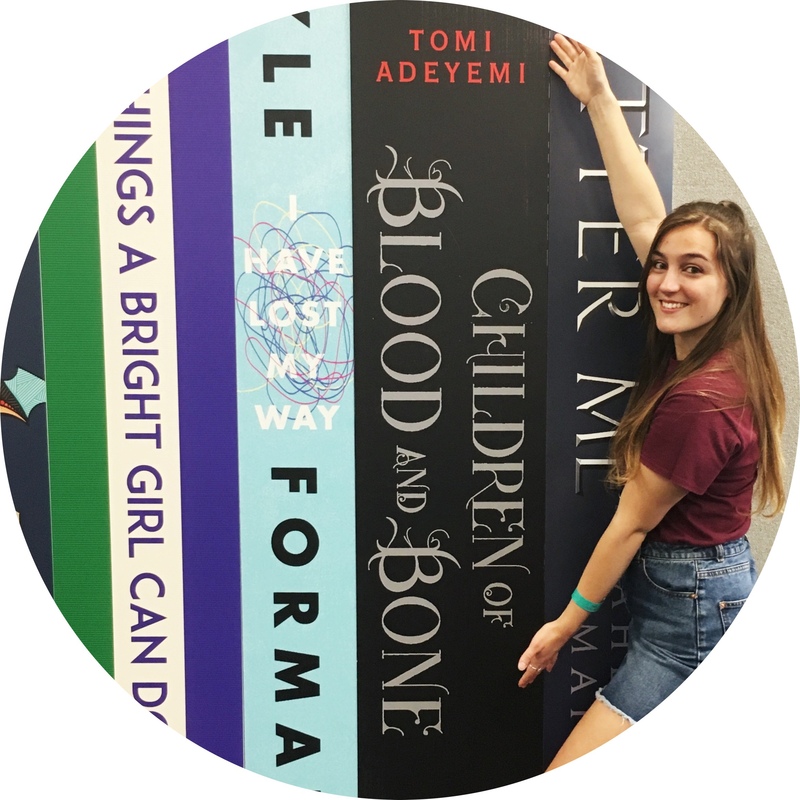 I never thought about blogging about my love of books – then I found the bookstagram community on Instagram, and followed a few blogs and realised that I’d finally found something that I didwant to write about. How would you describe your blog in 4 words? Which of your posts are you most proud of or one that you wish had gotten a little more love? I recently took part in a blog hop for World Book Day with some amazing UKYA book bloggers. It was the first time I’d done anything like this, and I had so much fun writing the post and planning with the other bloggers – it was a really wonderful experience. What tips would you give to someone looking to start a book blog? Follow and talk to other bloggers. The book blogger community is an amazing, fun and supportive place and there is always someone who is willing to share their experiences and give you advice if you need it. It can be a bit daunting when you first start, but there will always be someone to help you. Ooh this is always such a tough question for me! I’m going to have to be a bit broad in my answer, and say The Night Circus by Erin Morgenstern is my favourite book but the Daughter of Smoke and Bone trilogy by Laini Taylor is my favourite series. Maybe! Give us a book recommendation based on what you’ve read recently. I’ve recently discovered the His Fair Assassin trilogy by Robin LaFevers and I completely adore it! Assassin nuns living in 14th century France and completely kicking arse, whilst falling in love along the way! Outside of reading and blogging, what do you do in your spare time? There are things other than reading and blogging?! Joking… sort of. I love movies and music, cooking and baking and talking long walks with my beautiful Black Labrador, Max. Are there any blogs that you’d recommend? There are literally SO MANY!! Aside from the wonderful Vicky, my favourite bloggers are BooksNest, Fictiontea and Tackfiction – these girls are glorious!